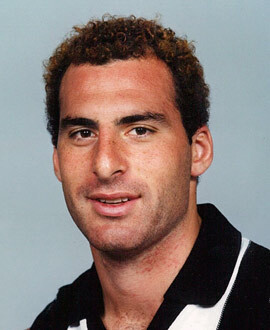 A member of the famous Dimattina football family, Andrew started the 2000 season on the rookie list after playing in the 1999 Essendon reserves’ premiership side as a supplementary list player. A late developer like brother Paul, Andrew finally got his chance half-way through 2000 after being promoted to the senior list. Not flashy, but solid and brave, he held his place in the senior side to the end of the season. Originally from Box Hill and then the Oakleigh Chargers, Dimattina was 22 when he made his senior debut.